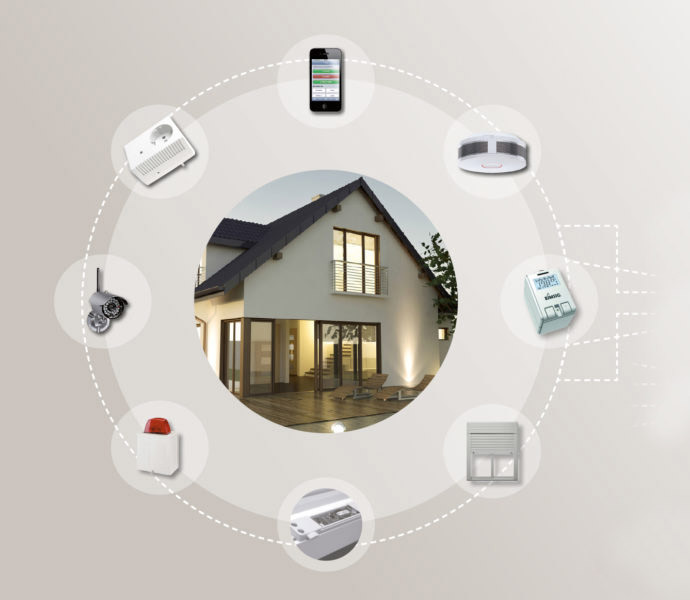 For building security we work with our partner EiMSIG to offer an integrated, easy-to-use smart home alarm system. We provide consulting and services for the EiMSIG systems. EiMSIG wireless alarm systems are well designed and easy-to-use for the entire family, elegantly combining security and comfort. For over a decade, the German manufacturer offers state-of-the-art smart home alarm systems. At the center of the EiMSIG alarm system there is a control box which can be connected to the internet via WLAN. The system can be intuitively controlled on a small design display. On the minimalistic user interface it is shown which doors and windows are opened, closed or even tilted. If connected to the internet, the alarm system can be controlled via the free-of-charge app (Android and iOS). 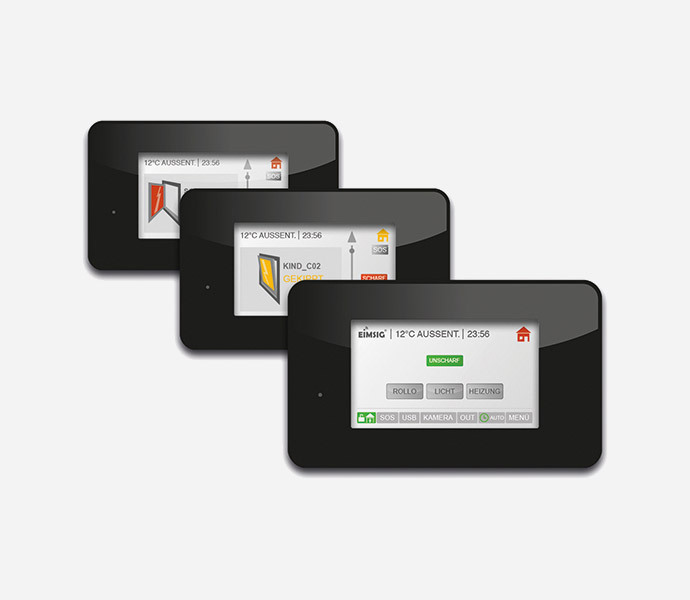 The app control of the EiMSIG smart home alarm system can be limited to the WLAN reception area or be allowed for remote control via the internet. It is of course also possible to control the system solely via the central design display. Additionally, an alarm via SMS can be integrated, for which merely any SMS charges apply. The system can be configured so that everyone in the building can control it. It is possible to add further touch displays, e.g. if it is desired to control the smart home system from the living room and additionally the bedroom. A uniqueness of the EiMSIG smart home alarm system are the sensors. 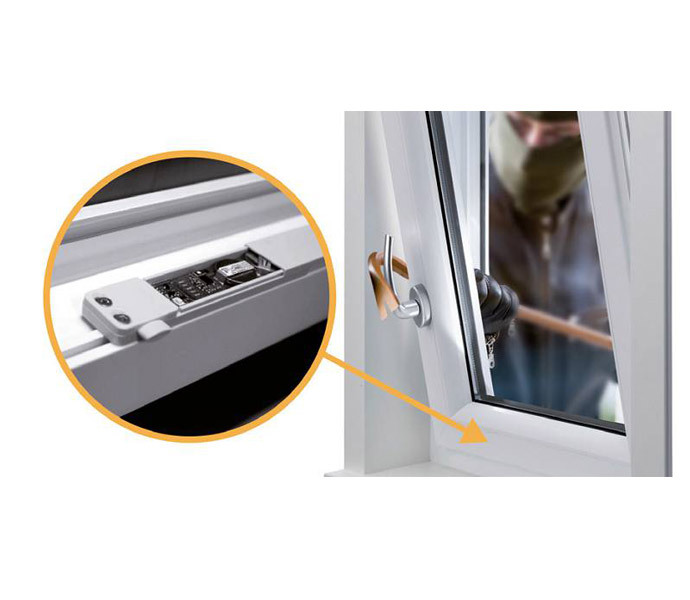 EiMSIG has developed a patented window sensor which is integrated in the covered area of the window frame – i.e. they do not spoil the appeal of nicely designed windows. The sensor covers the three statuses open, closed and tilted. The highlight of the EiMSIG sensors: Even tilted windows are secured. That means the alarm system can also be activated while windows are tilted.